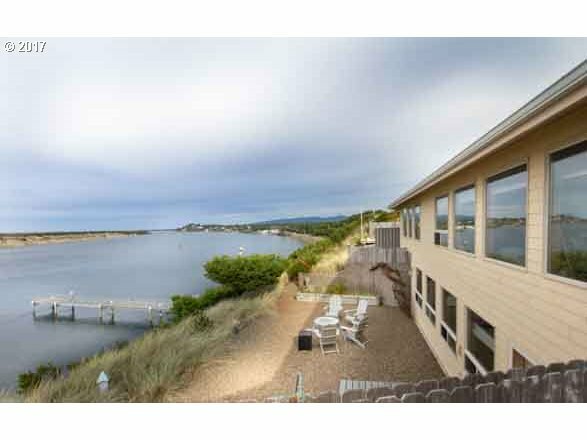 Expansive views of Siuslaw River, dunes & sounds of the ocean are yours in this immaculately maintained home. Quiet cul-de-sac of upscale homes. Nearly 3000 sqft of open concept living w/luxury vinyl plank flooring. Light filled, wall to wall windows in every west facing room incl spacious master suite & downstairs family room. All main living on main floor. Abundant storage thru-out. Large walk-in pantry & laundry. Oversized garage.